It’s finally time to put all of your blocks together! 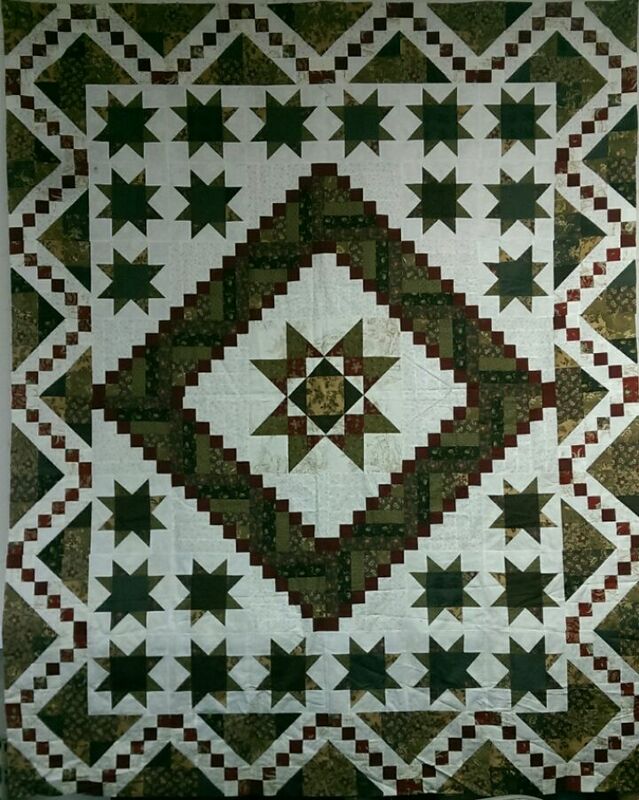 I went around the center with the half log cabin blocks, then arranged the stars to fill out the pattern, and used the Jacob’s ladder blocks as a border. It finished 72″ x 90″. 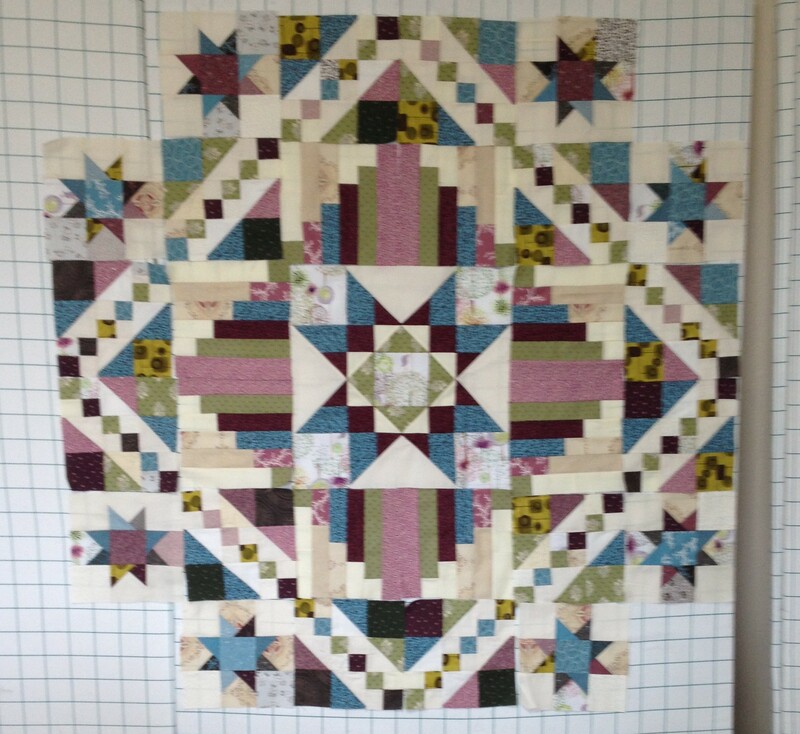 I am going to add a 5″ border all around, and end up with a full sized quilt. We used Charisma’s blocks to arrange in some of the other patterns described below. 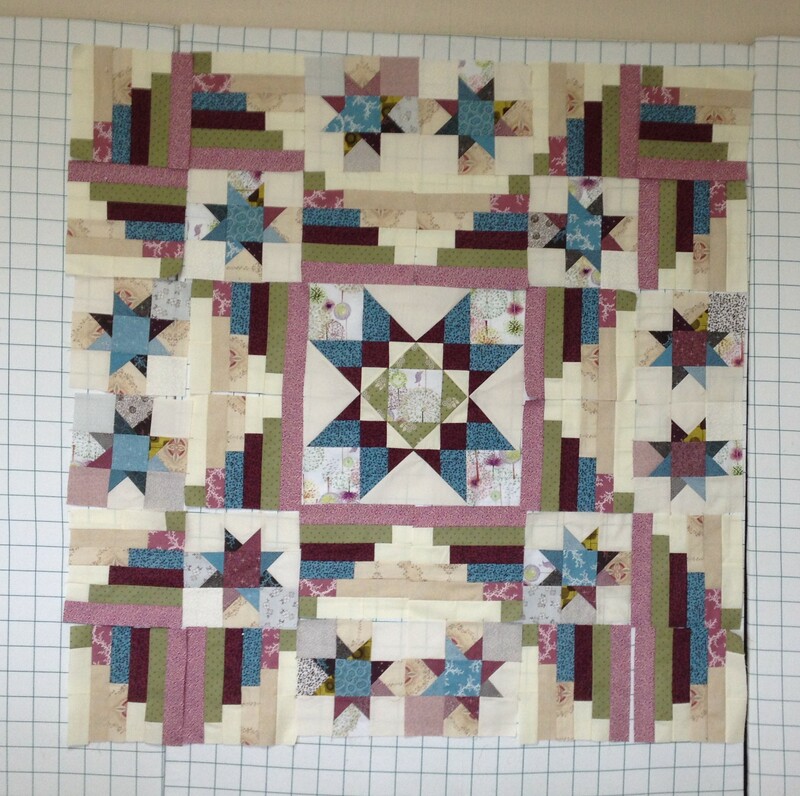 She has a very scrappy quilt… it is going to be beautiful! Here’s the first one: This layout is quite different. For my quilt I used the half log cabins with the light on the inside, but this one has the light on the outside. Then the Jacob’s ladder, then it will fill out with the stars. Here is the next one: I took the half log cabin blocks and arranged them like a star. (Remember you have “left” and “right” half log cabins). Then we did a row of stars, then a row of jacob’s ladder blocks. 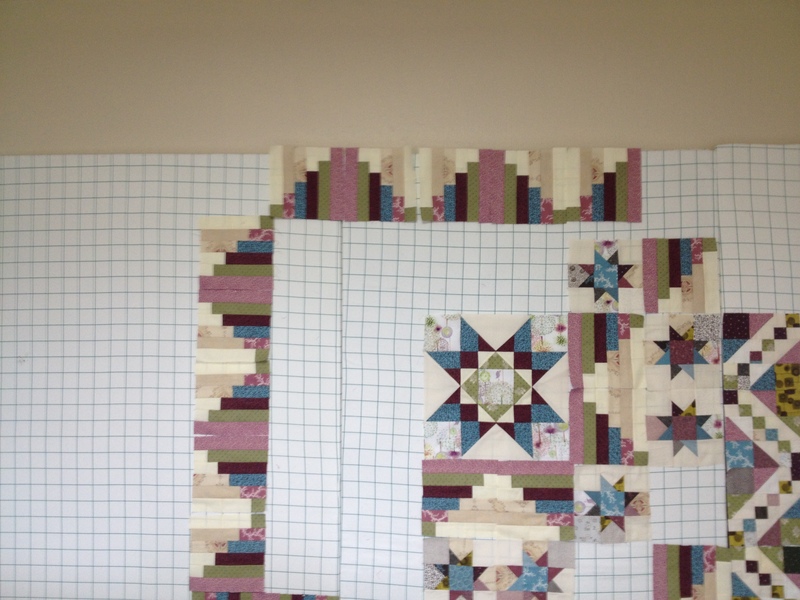 We will fill this in with three stars in each corner, then use the rest of the half log cabin blocks as a border (pictured below… ignore the center…. ) 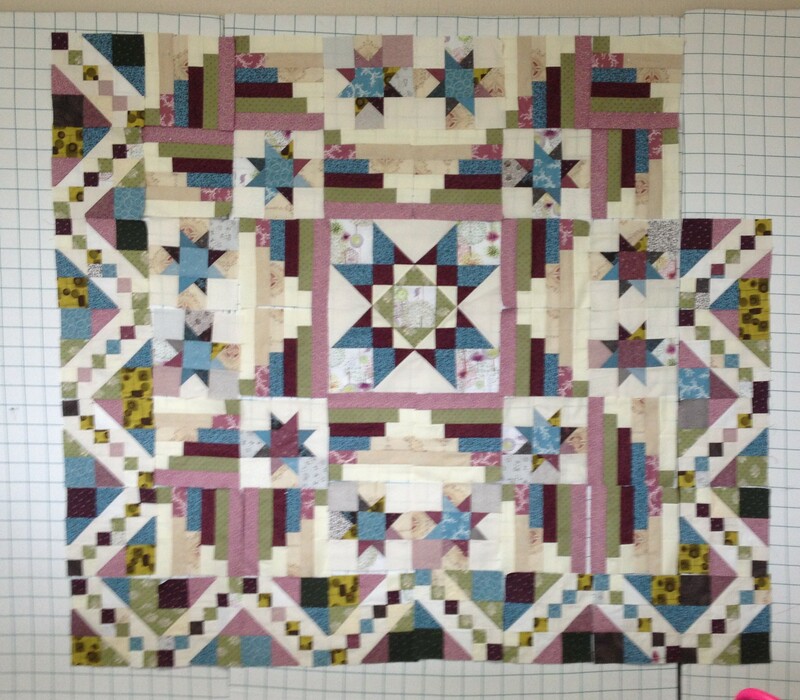 Here is the forth option: I used the same star layout as above, then extended it for another row. 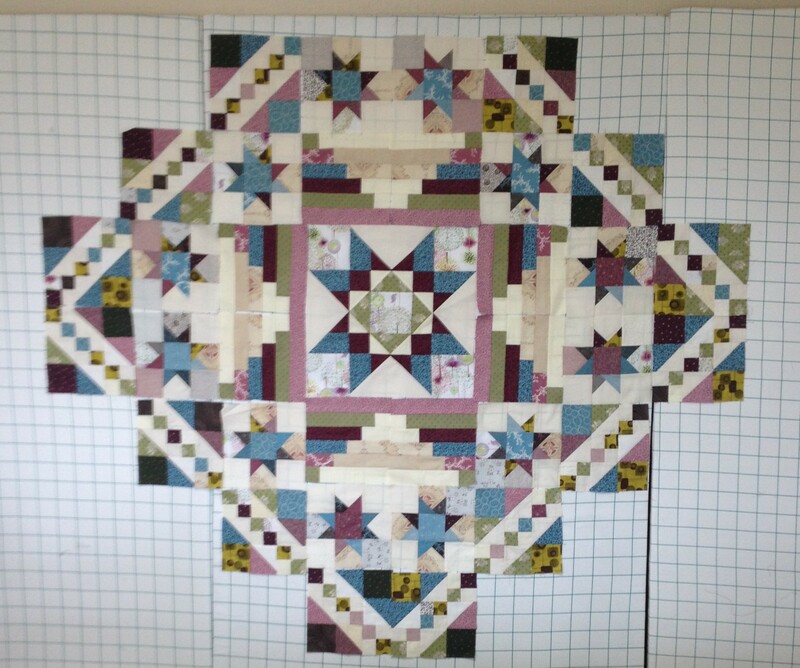 It was filled in with the stars, then I will use the Jacob’s ladder blocks as a border This option will finish 72″ x 72″, you would end up with a few leftover blocks. So use these pictures to arrange your quilt in the way you find most pleasing. Or maybe you can come up with another option? If so, please send us a picture! Thanks for quilting along with me! This has been fun!